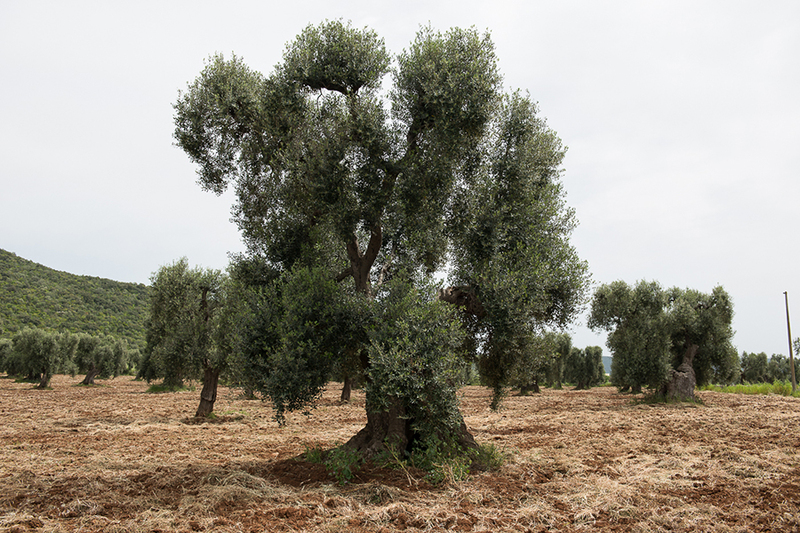 At the foot of the hill overlooking the farm, an old-age typical sheep- track looks inviting visitors to enter the Ogliarola olive grove. Among the trees, stately like natural sculptures, surrounded by dry-walls, there is a monumental one, named “Mita’s Myth”, which is likely to be the most historical. There is also a modern Leccino olive grove. We are therefore proud to offer our customers a high-quality extra vergin olive oil from olives browsed and pressed not later than 24 h. from picking, at the cooperative oil mill in Crispiano, by cold-extraction process. The oil is then stored in steel cans and protected with nitrogen to preserve all its organoleptic features. The oil is finally packed for retailing. 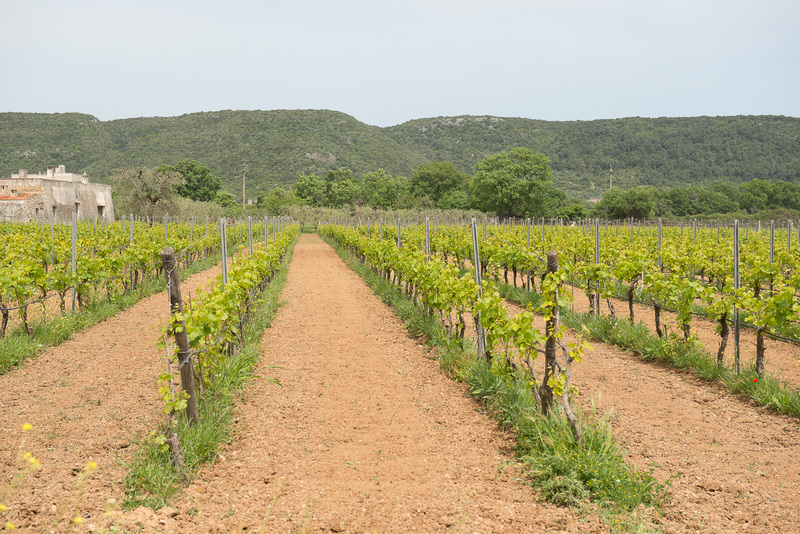 We are also proud of our wine growing, based on immemorial traditions.Our project aims at harmonizing a range of different species of vine: on 10 ha. 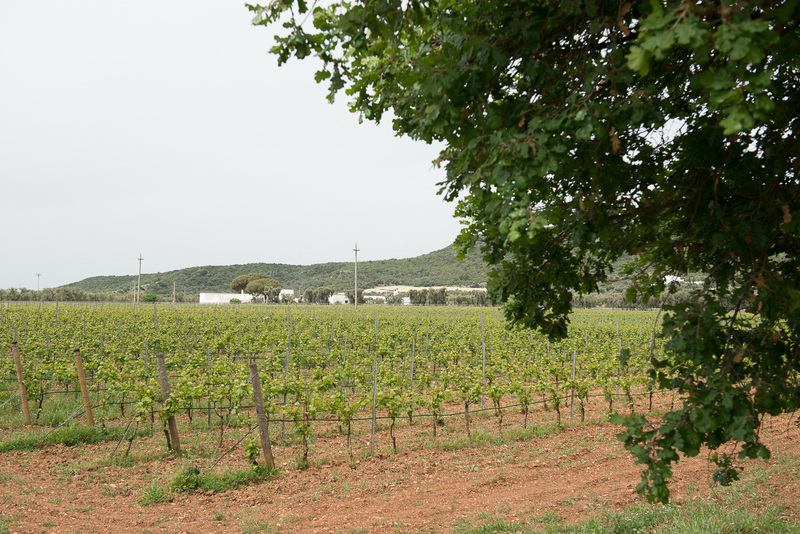 we have autocton species such as Primitivo, Negroamaro and Aleatico, and international ones such as Chardonnay, Riesling and Sauvignon. 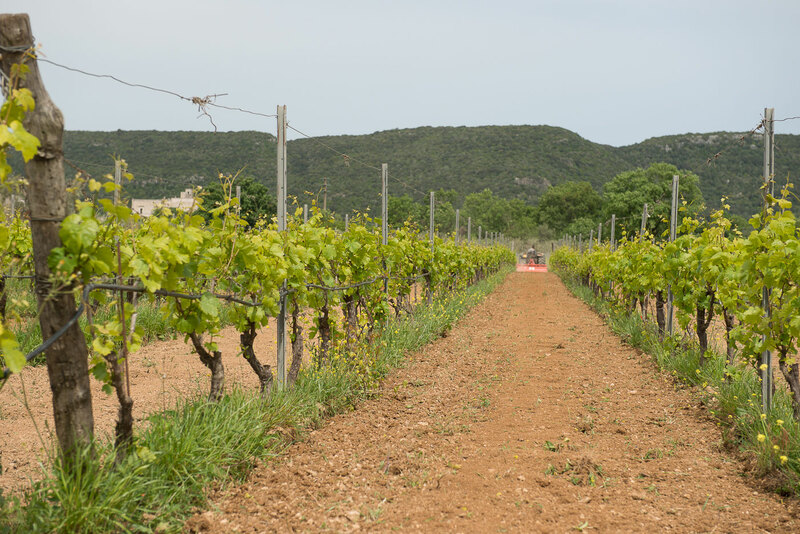 Thanks to the espalier vineyards with a high density of plants per ha., we are able to get a reduction in the bunches’ quantity for each stump, the greatest root system nourishment, the easy air circulation, the maximum foliage insolation, the optimization of the working process and the right vegetative balance between the plants. 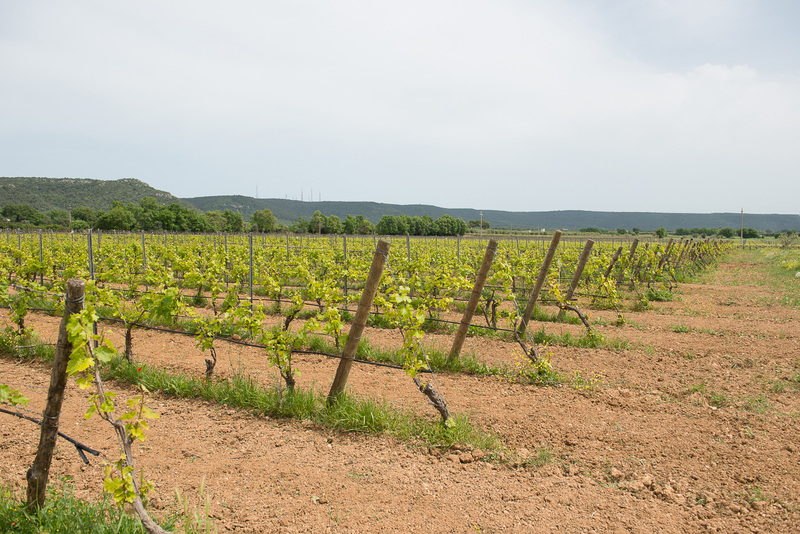 By the end of 2016 we will be ready to offer our wines with an oenological project developped esclusively on our species of vine, since a good wine is most made in the farm.